Reporting on Issues can be used to see the status of current and historical issues. More information on issues can be found in the Add Issue topic. 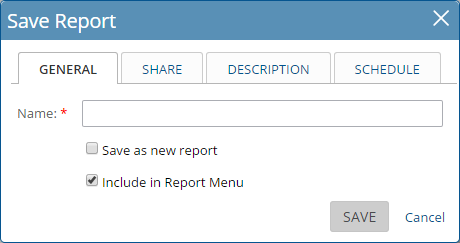 will filter the report on the state of the item type selected, either open, closed or both states. 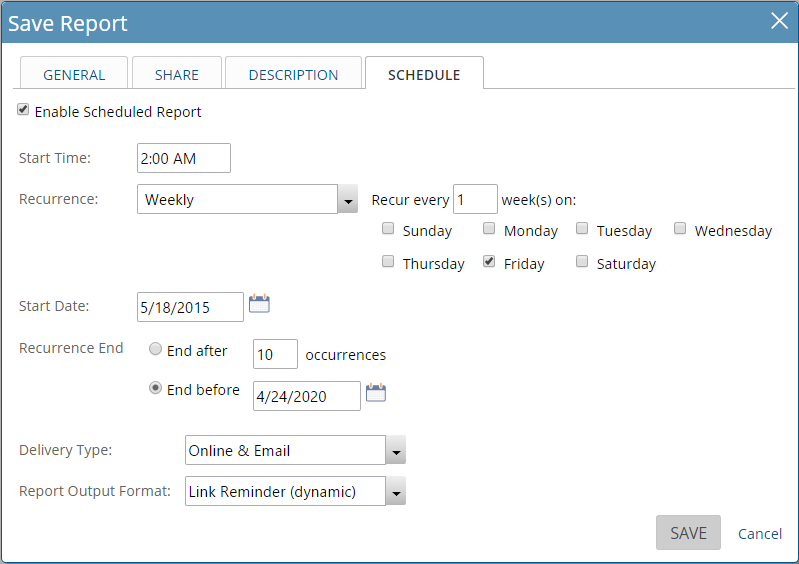 There are four different options available for filtering by dates. They include Created Date, Updated Date, Closed On and Resolution Date. Master Folder Filtering Options are set to filter Projects based on any folders that have been set as a Master Folder. Issue Type Filtering Options are set to filter issues based on the Issue Status Type, Issue Type, Issue Severity, and Issue Priority. User filtering options are set to filter the Issues based on the Assigned To and/or the Created By resources that created the Issue. Resolution Filtering Options are set to filter Issues based on the Resolution Type, and/or by the Resource that has resolved the issue. 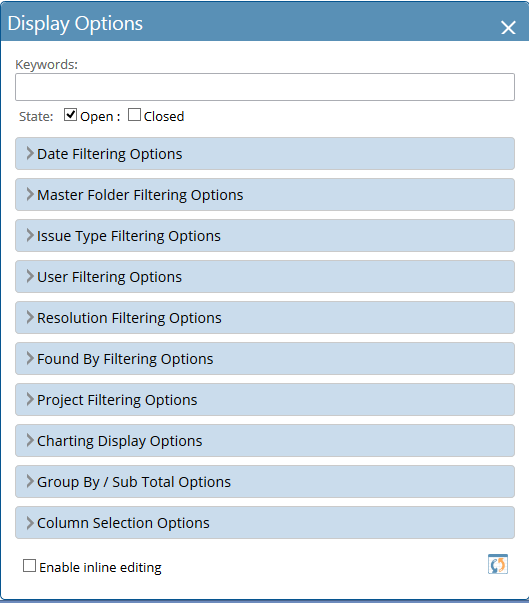 Found By Filtering Options are set to filter issues based on the field Found By and/or also by a specific date range based on the Found Date of the issues. 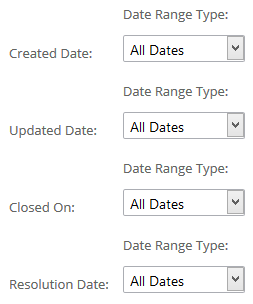 See the date section above for information on Date Range Types. Issue Custom Field Options will only appear if your system administrator has setup Issue Custom Fields and they are set to as a filter for reporting purposes. The image below is only an example. Bar Chart: Aggregate By is the y-axis and the Chart Columns is the x-axis. 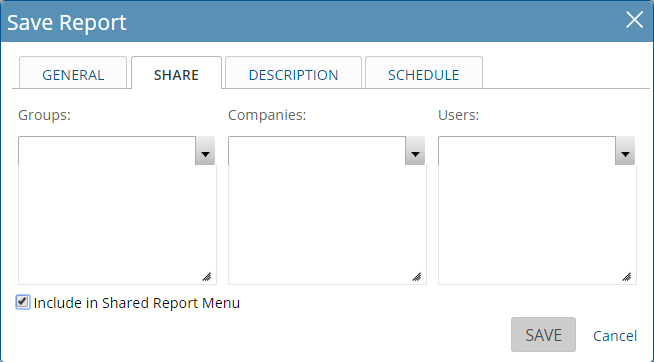 Inline Editing Options when enabled allows the report to be editing inline similar to do inline editing on task where the columns being displayed may be edited and new items can be created. Be sure to select a folder where any new items would be saved.